In December I participated in a local group art show at The Mahone Bay Centre called "One Size Fits All". Each artist could purchase up to 5 - 6x6 inch wooden panels as the registration fee for the show. 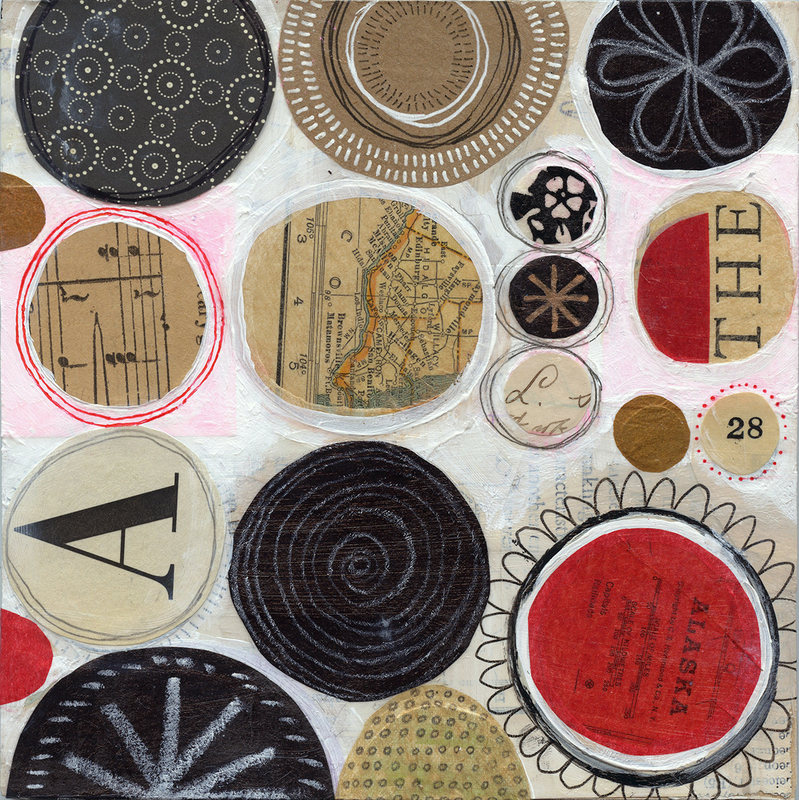 It was an open call for submissions with 70 artists submitting 250 works of art (6X6 inches). 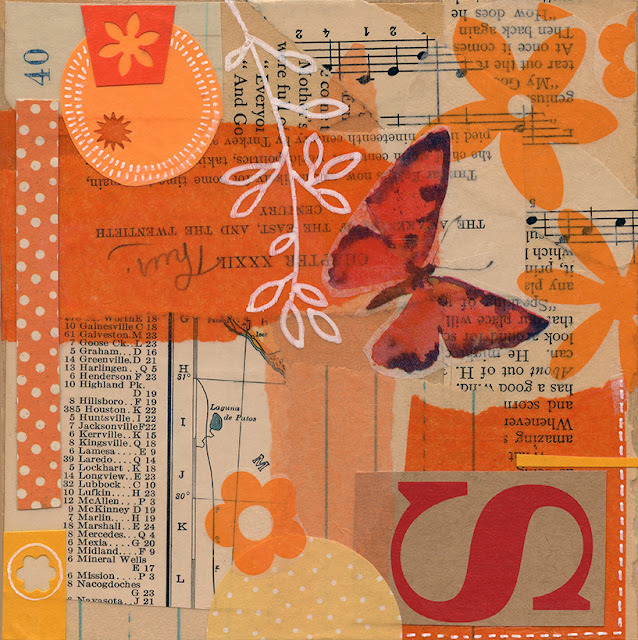 All priced between $50 and $150 sales exceeded $10,000 with artists getting 100% of sales. $1000 was raised for the Mahone Bay Centre through the modest registration fee. The project was a great example of how funds can be raised without asking artists to donate their work or even a percentage of sales. 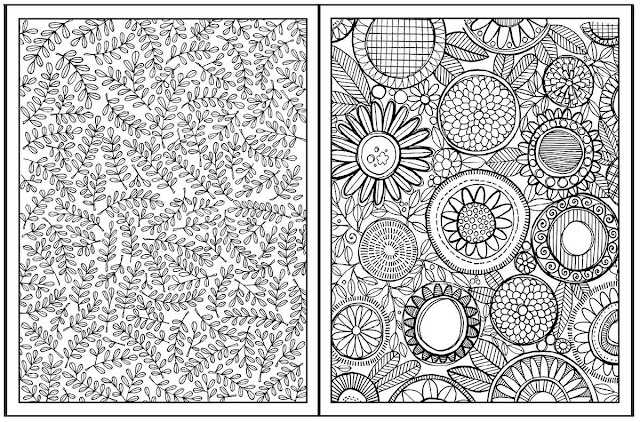 The top 5 images above are my submissions to the show (the bottom image is an earlier version of what eventually became the top image A-28). 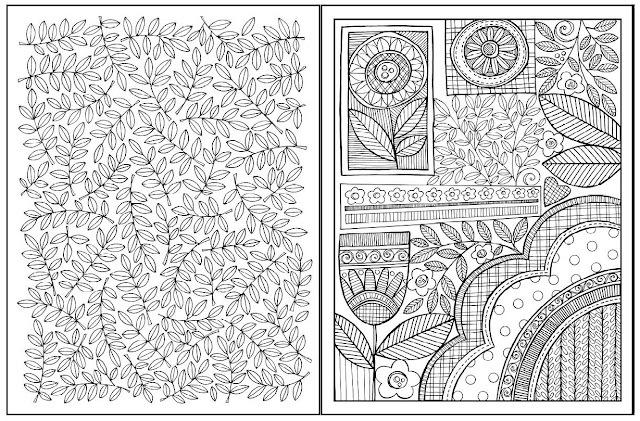 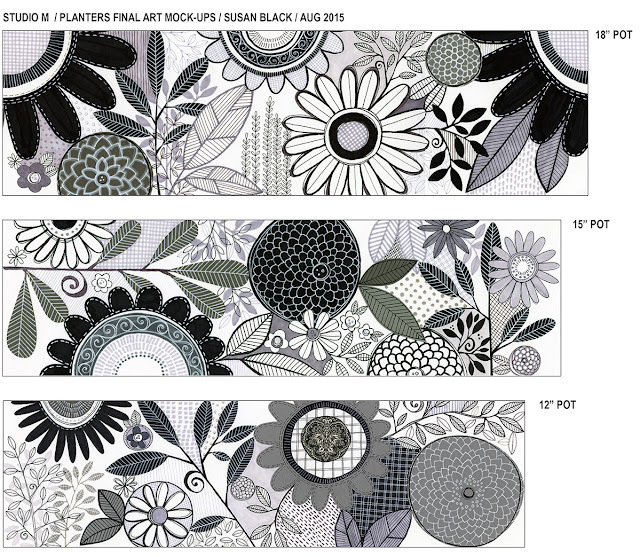 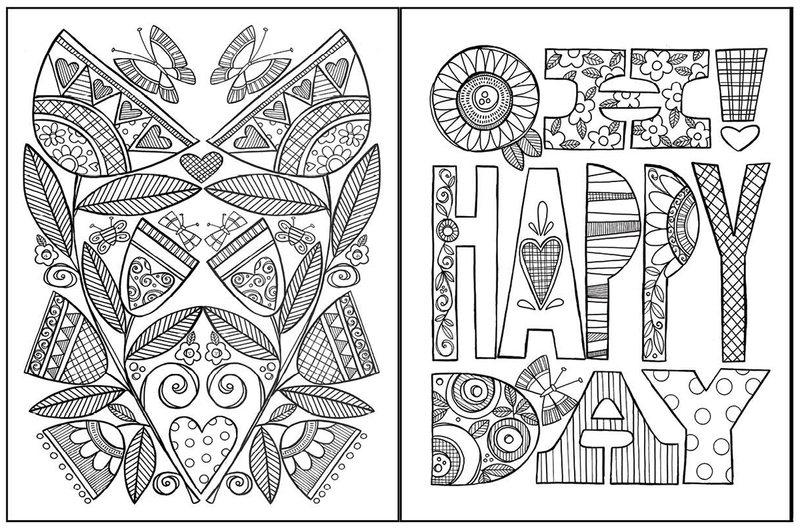 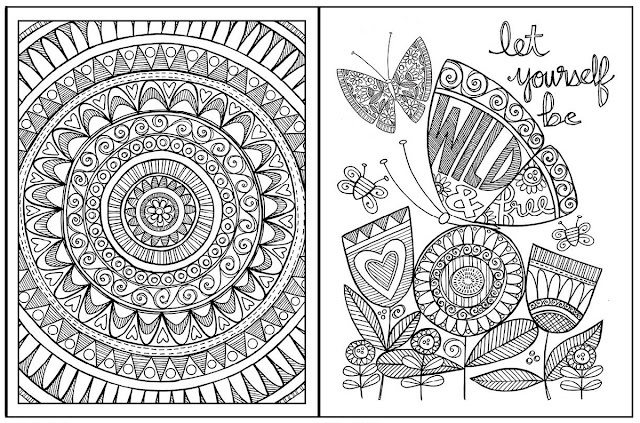 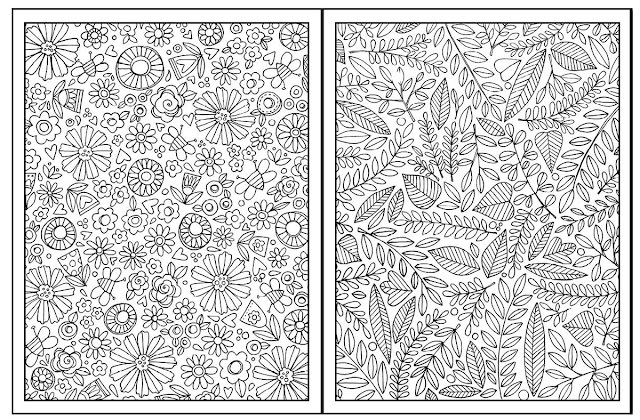 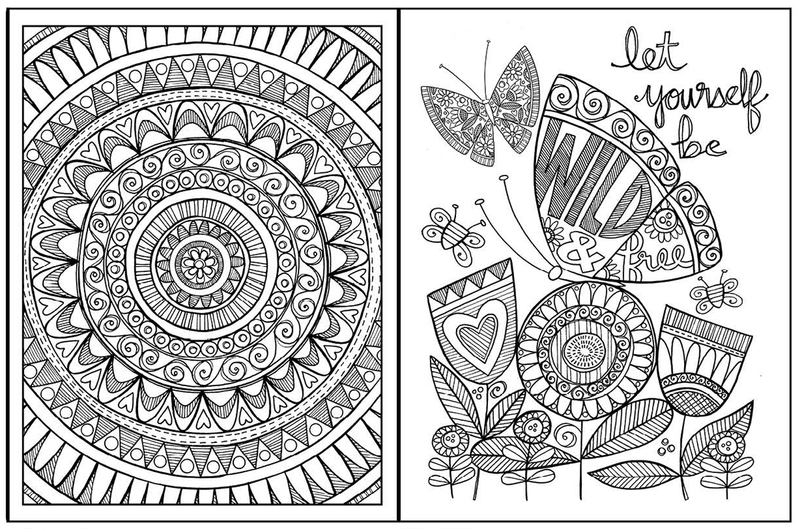 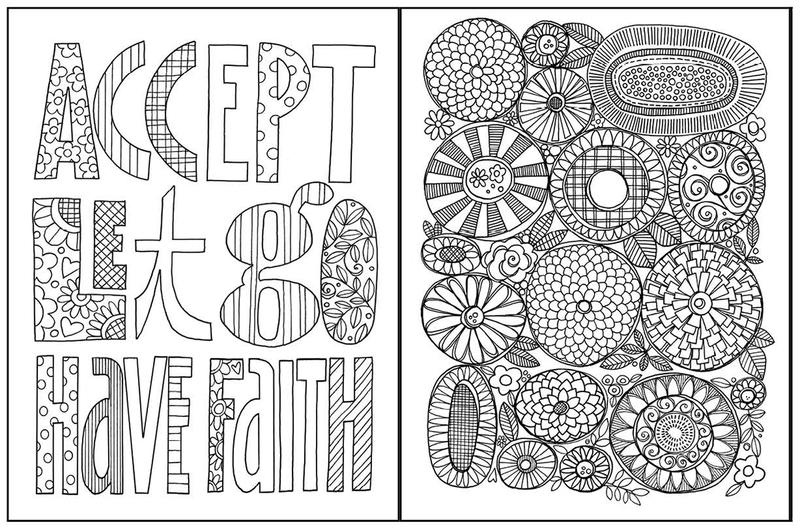 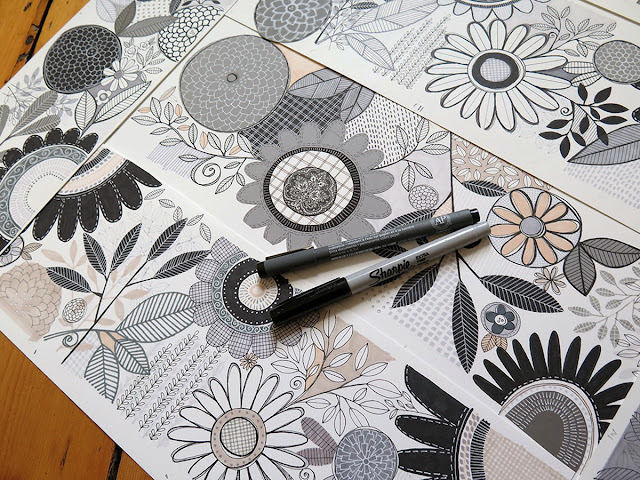 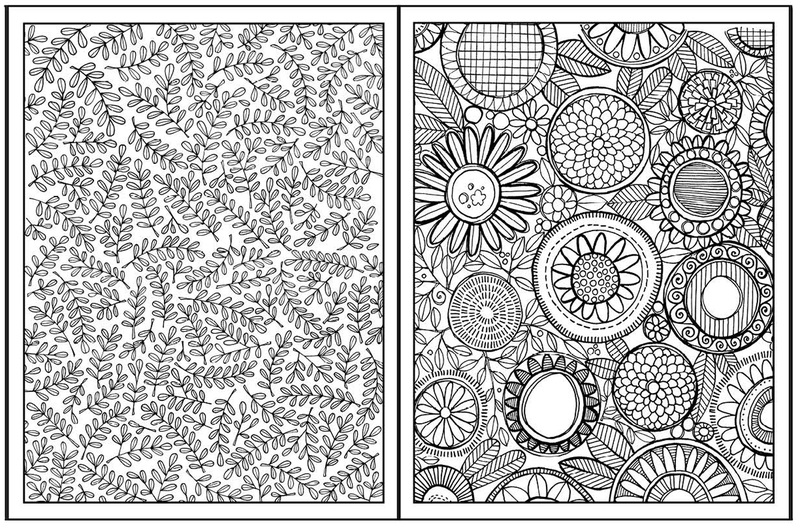 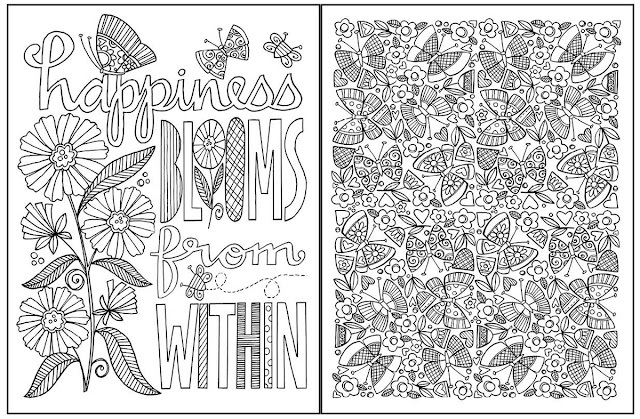 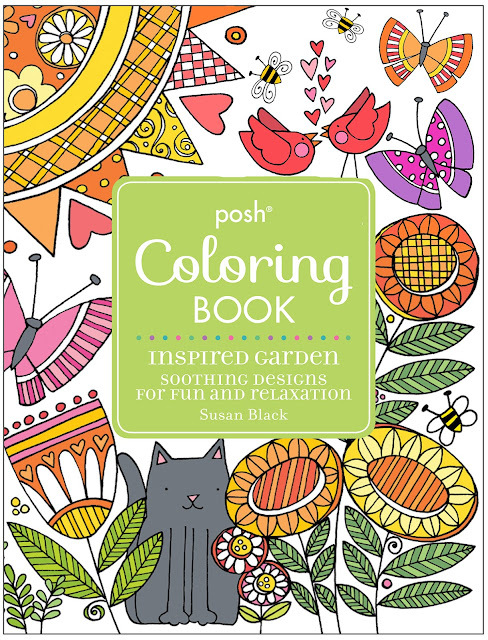 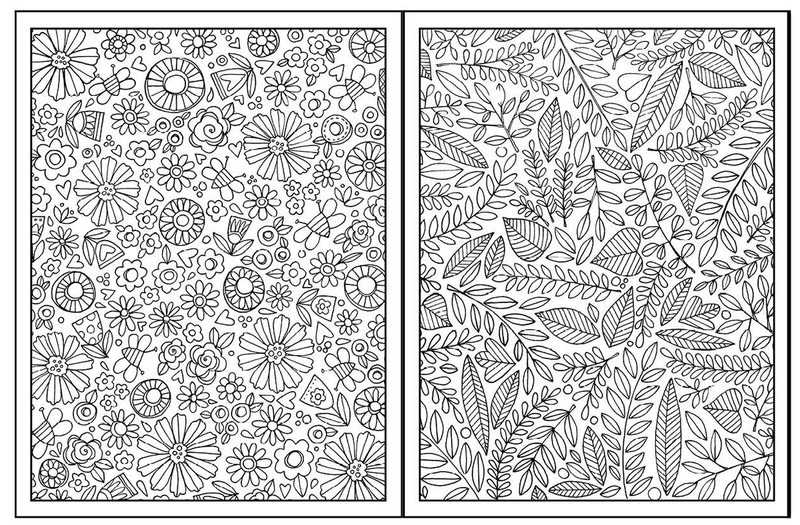 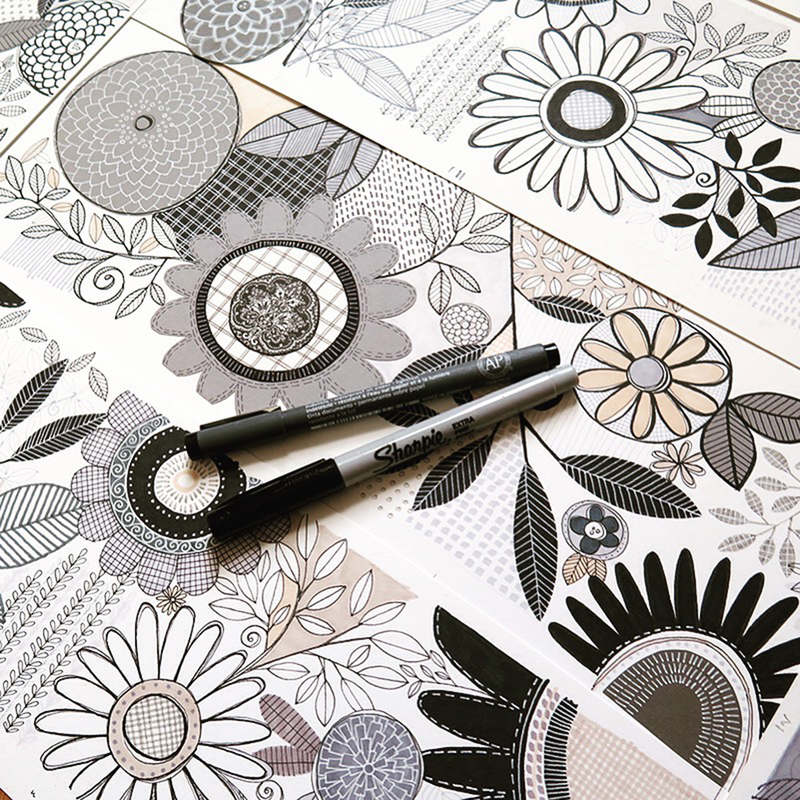 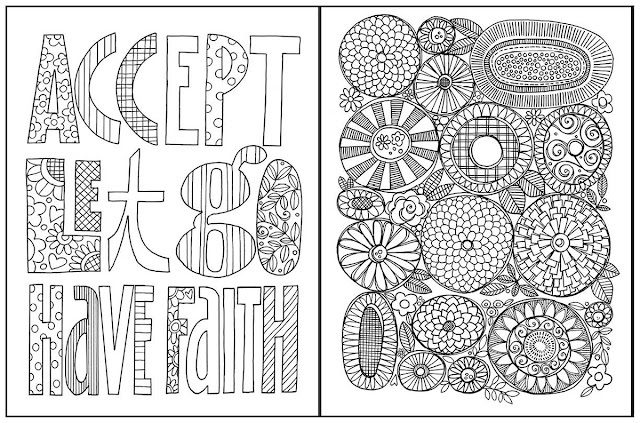 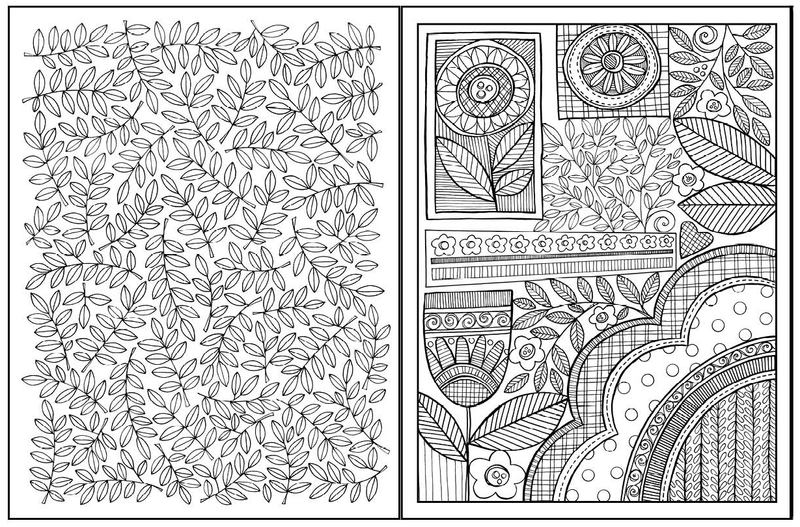 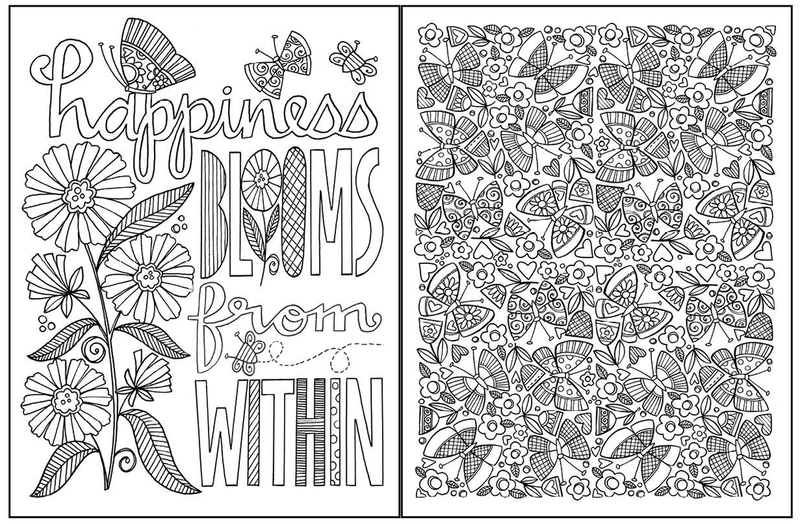 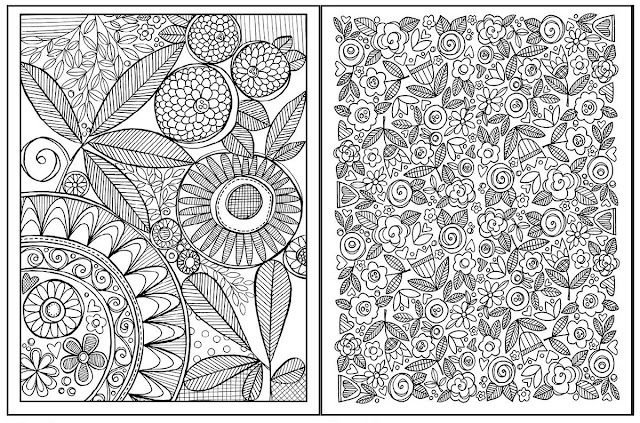 Shown here are 22 pages of the 126 pages found in my new POSH colouring book Inspired Garden with Andrews McMeel Publishing. 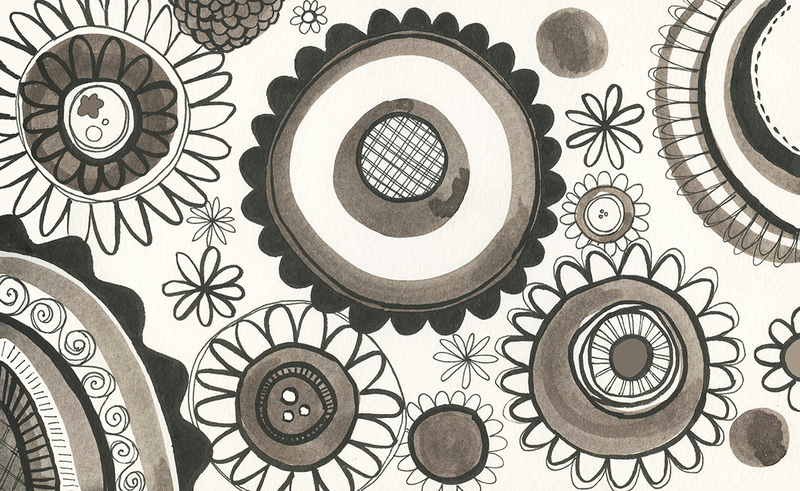 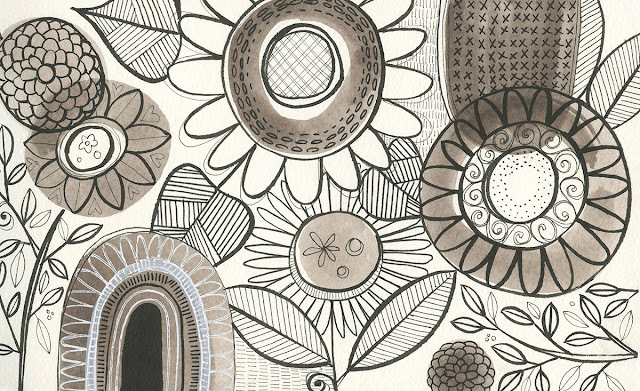 126 drawings inspired by a bunch of my most favourite things in life. Nature, flowers, gardening, more flowers, cats, inspirational & motivational words and sentiments more cats and lots more flowers ... oh and lots of butterflies and bees too ! 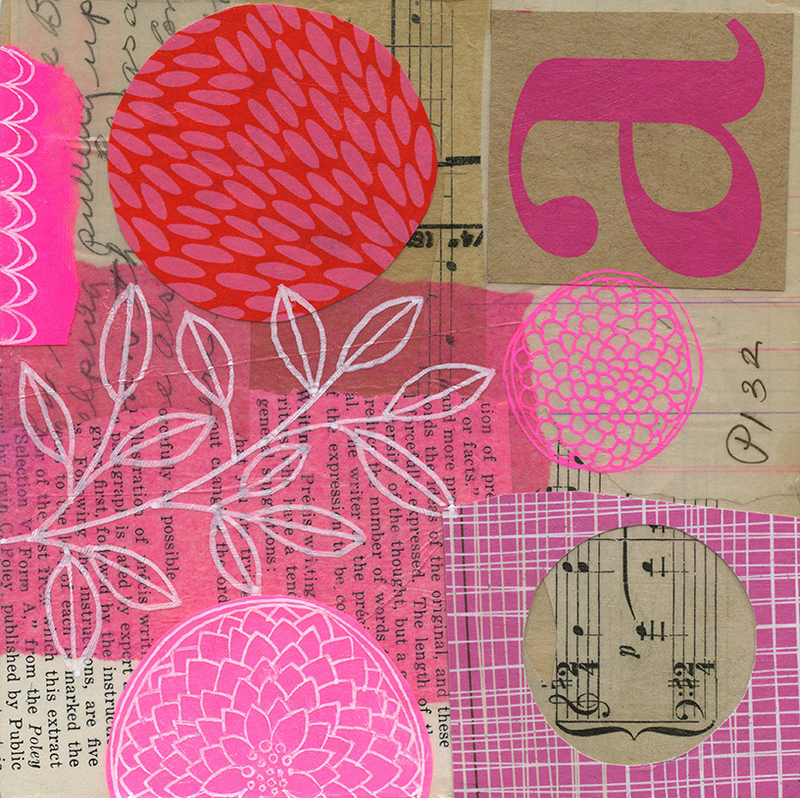 Available for purchase in my Etsy shop - Such a fun project ! 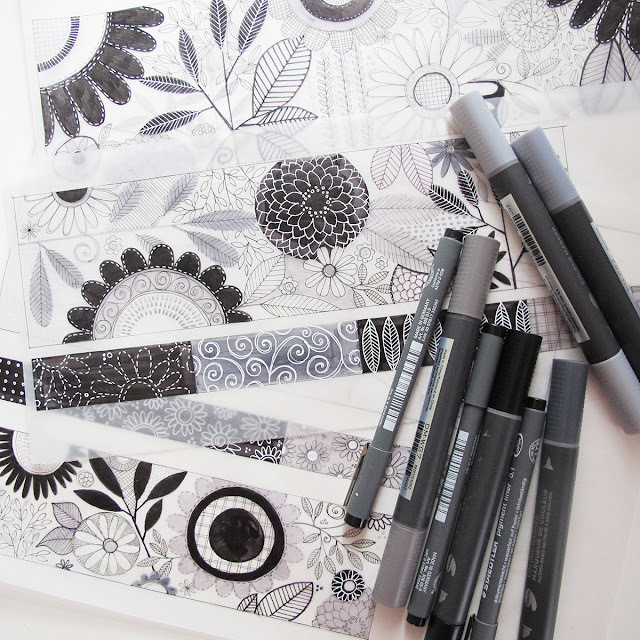 I'm a big believer in passion projects because they have been so incredibly beneficial to my own creative growth and for my art licensing business. 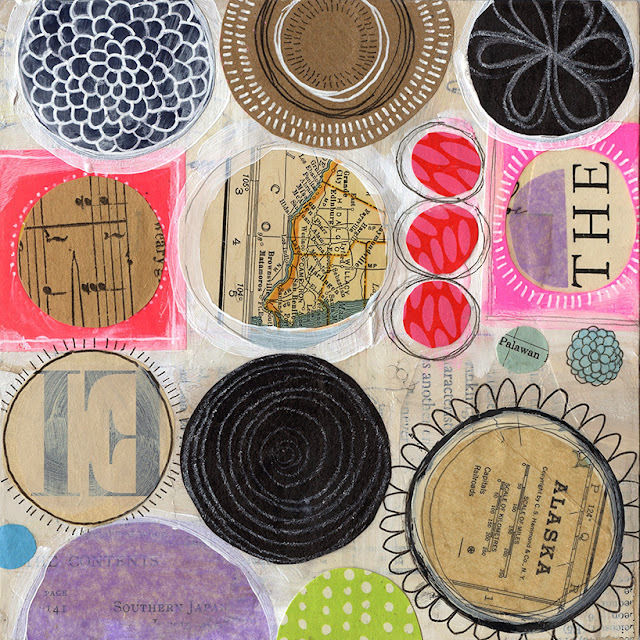 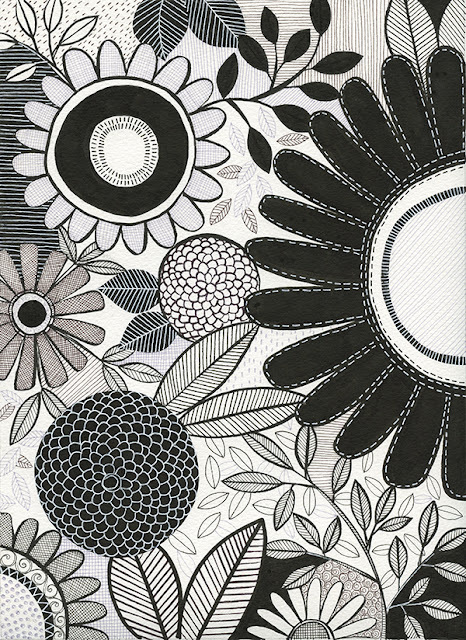 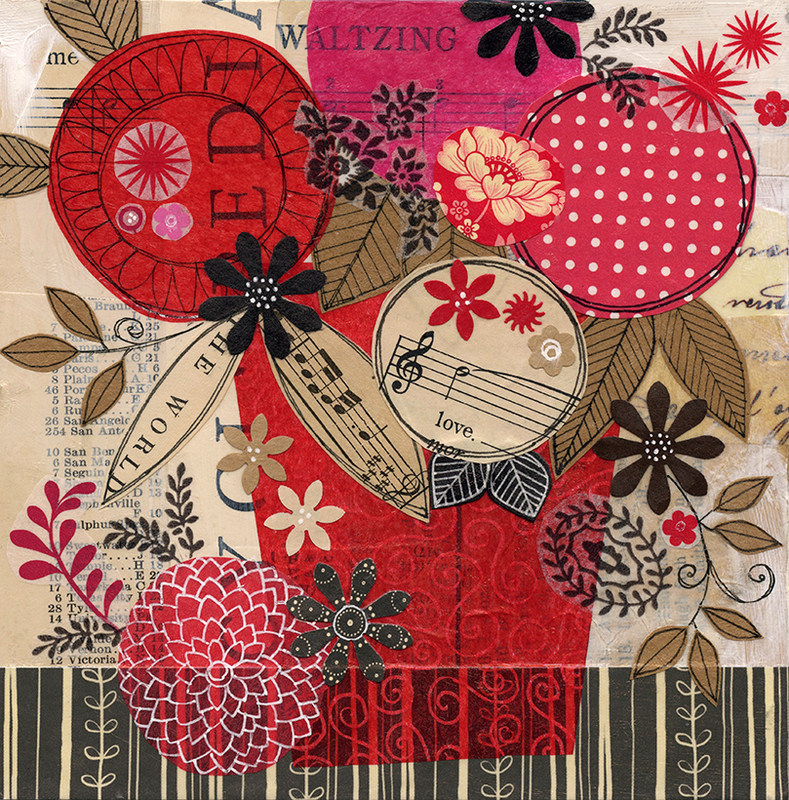 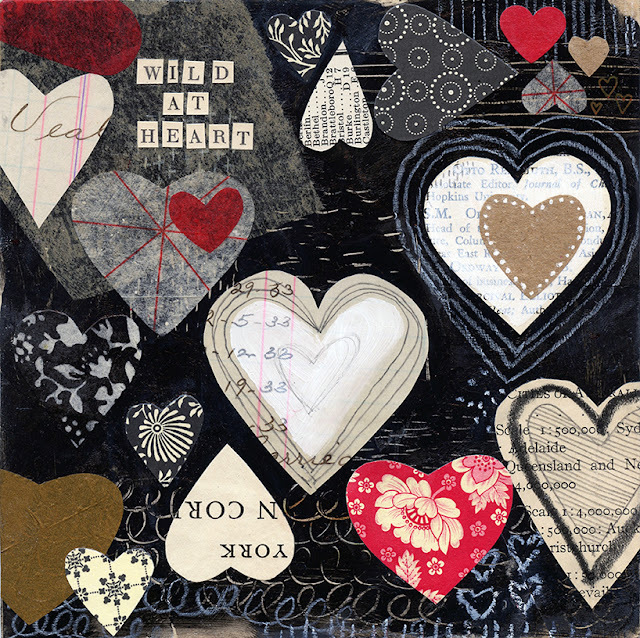 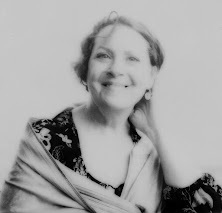 Our friend and colleague Jennifer Orkin Lewis and before her the fab Lisa Congdon were the first artists I can remember having daily passion projects that I was paying attention to. Then came the very popular #100days project which is when I think I officially hopped on this bandwagon. 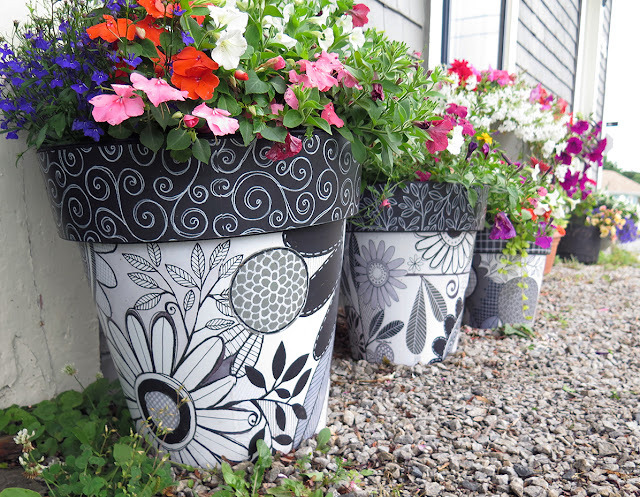 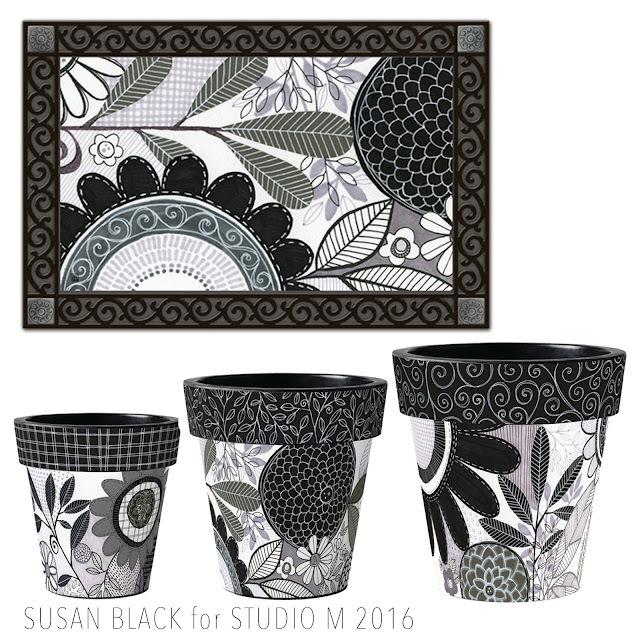 I had just joined Instagram (very late to the party) and having a 100 day project gave me something new I created to post each day - if you go way back in my susanblackdesign IG feed you'll see my first floral drawings (with collage) sketchbook project, an every night with Netflix winter habit and the project that lead to this great art planter project with Studio M (and others). 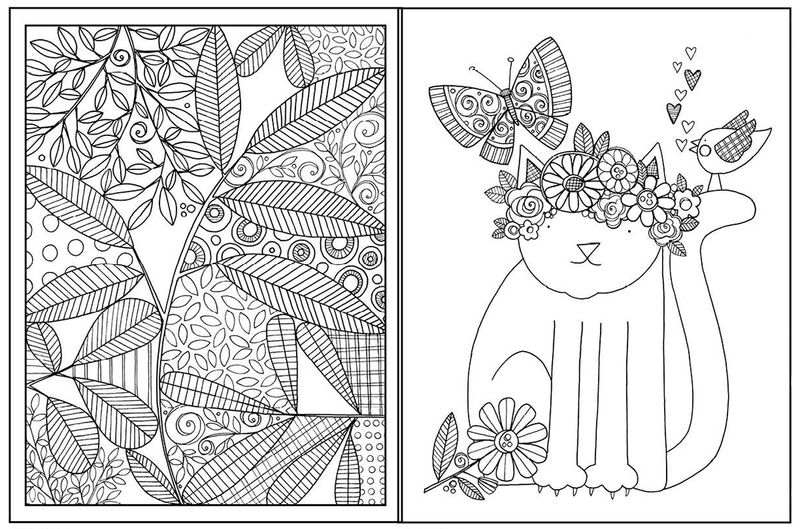 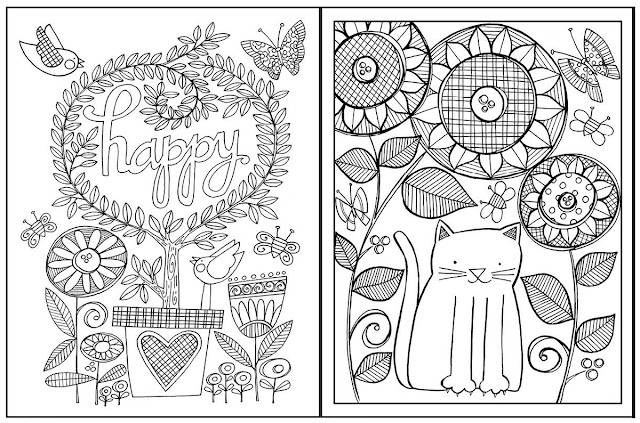 Next I did 100 day project of line drawings which I turned into my own self published colouring book Cats & Flowers, Flowers & Cats which I sold in my Etsy shop, locally and sent out as a gift/promotional pice to all my favourite art licensing customers. 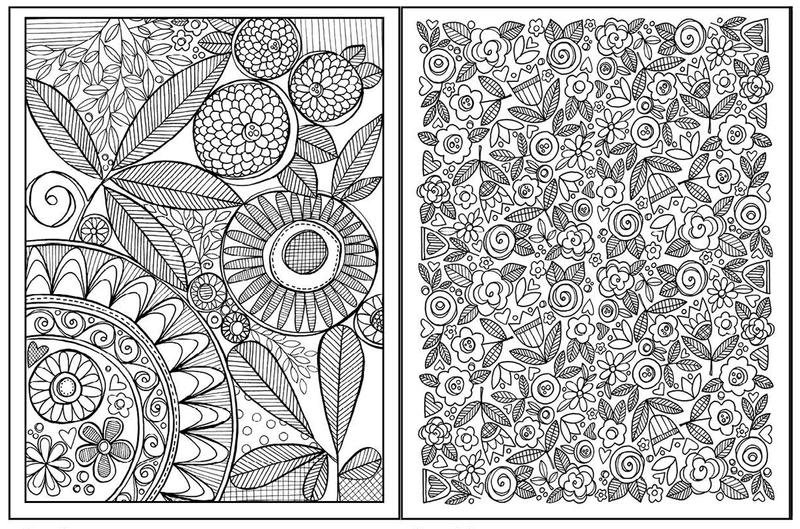 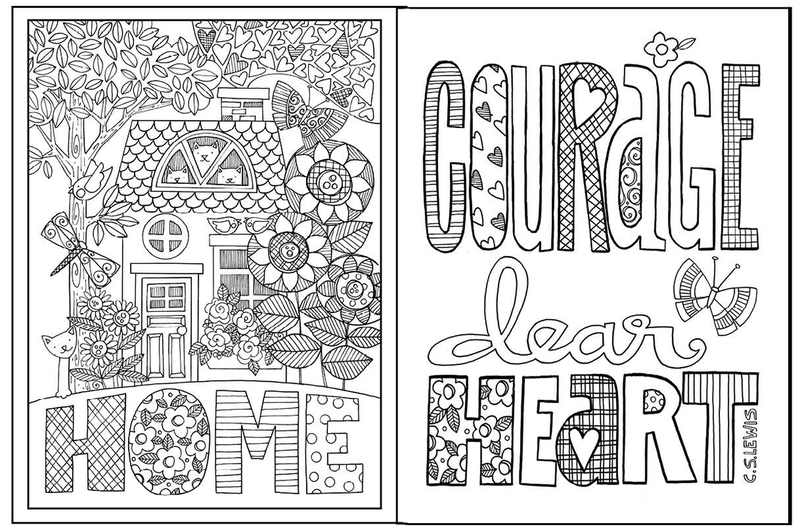 It's been amazing how much NEW work came from that line drawing/colouring book passion project ... a new colour-it-yourself multi sku gift collection with Midwest/CBK, a colouring Art Heart with Demdaco, a colouring greeting card with Design House Greetings and sold at Trader Joe's and best of all 2 new full size colouring books with Andrew's McMeel - the first 126 page book Inspired Garden is available now for pre-order at Amazon - yay ! !